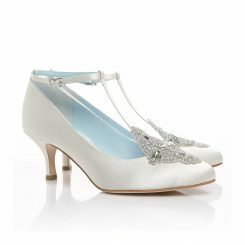 Angela Nuran Olivia silk is a pointed, closed toe, pump with an adjustable ankle strap. 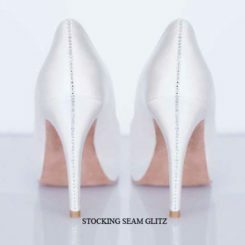 Olivia is available in size 5 1/2 – 10 medium. 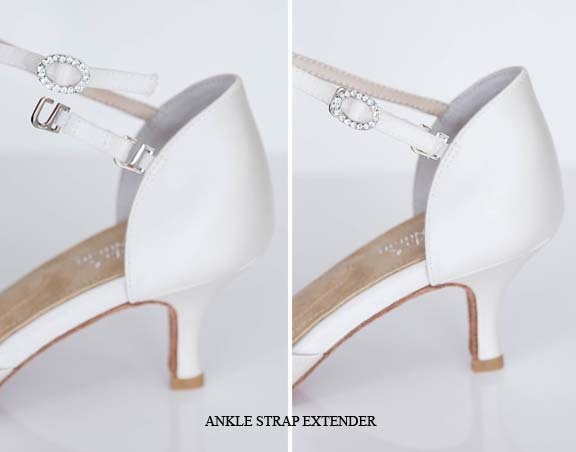 Additional $12.00 for extender either on cruzada or ankle straps. 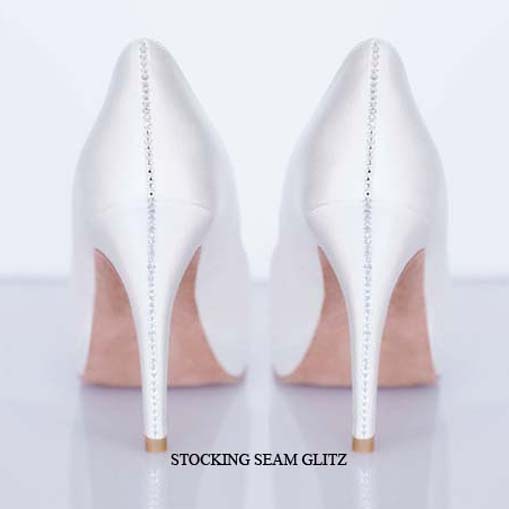 Custom bling for Angela Nuran shoes are also available with Swarovski crystal rhinestones: tip heel glitz $59.00 and stocking seam $129.00. 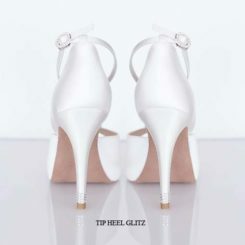 (Sample pictures are available on product gallery). 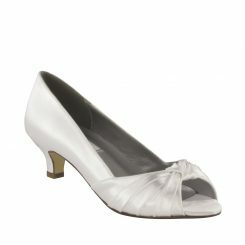 Angela Nuran Olivia silk is a 2 1/2″ high heel, closed toe pump. This high end, designer shoe is very comfortable and elegant. The Olivia comes with two different interchangeable straps. The ankle strap simply goes around the ankle and the cruzada strap crosses in front the the foot and then goes around the ankle. 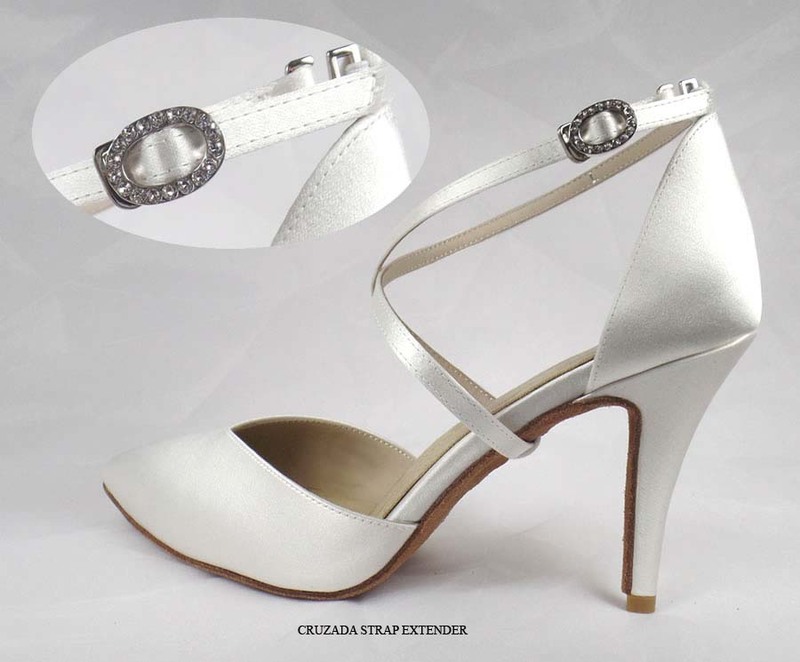 The cruzada strap does add more support while giving it a sophisticated and unique look. 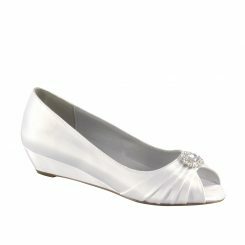 This shoe is specially designed with a low cut toe box which is exceptionally comfortable and fits well. 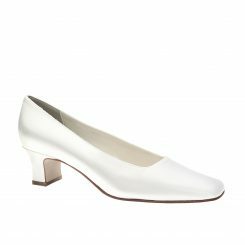 Olivia is made with a flexible, suede sole and a generous amount of padding. 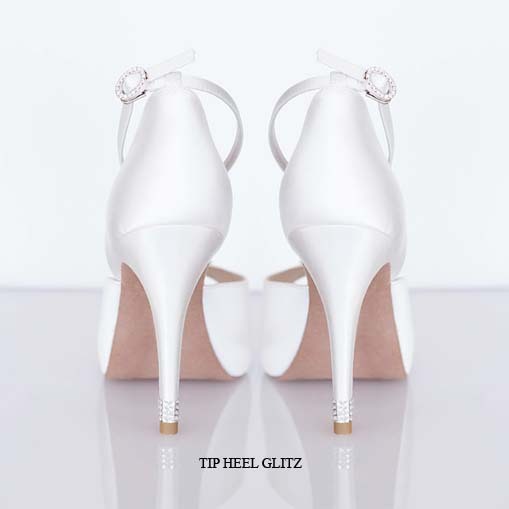 This shoe is perfect if you plan on dancing the night away. 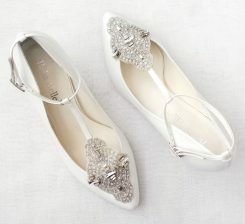 The Olivia can also be customized by adding a shoe clip to add more sparkle or dyeing it your favorite color! 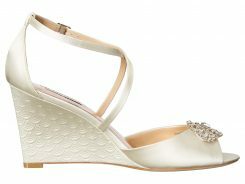 Olivia is available in size 5 1/2 – 10 medium.